Iceland’s Ring Road is an enchanting adventure filled with captivating experiences. Never in my life have I seen such an awe-inspiring place. 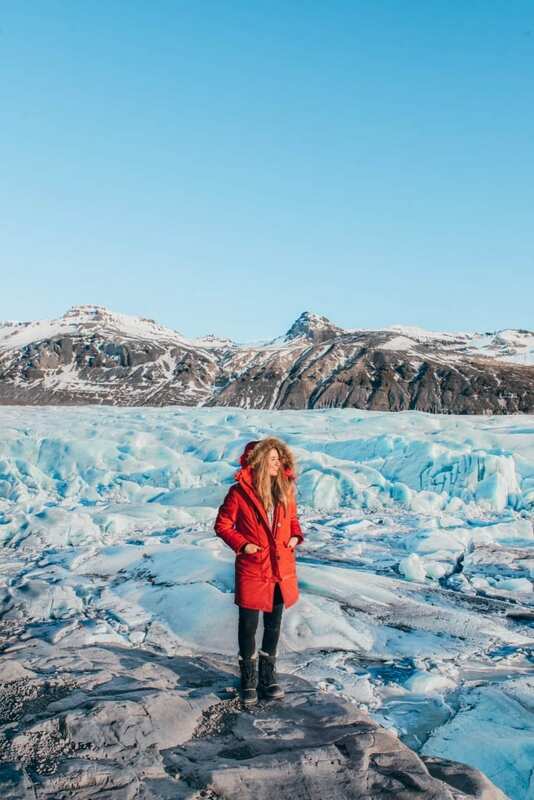 With milky blue geothermal springs, enormous waterfalls, native wild horses, black sand beaches, jagged mountains, ice-blue glaciers, and the northern lights, the “Land of Fire and Ice” will leave you utterly speechless. 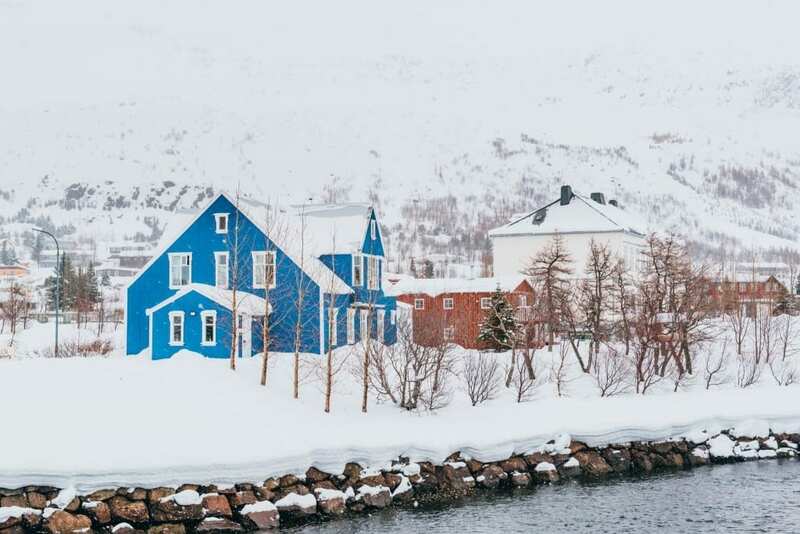 Exploring Iceland in March is an excellent idea if you want to experience all four seasons. While it will be cold all around the entire island, most of the snow has melted in the South and yellowish/green grass covers the ground everywhere you look. In the East and North sides of the island, you will experience a landscape that can only be described as a winter wonderland. 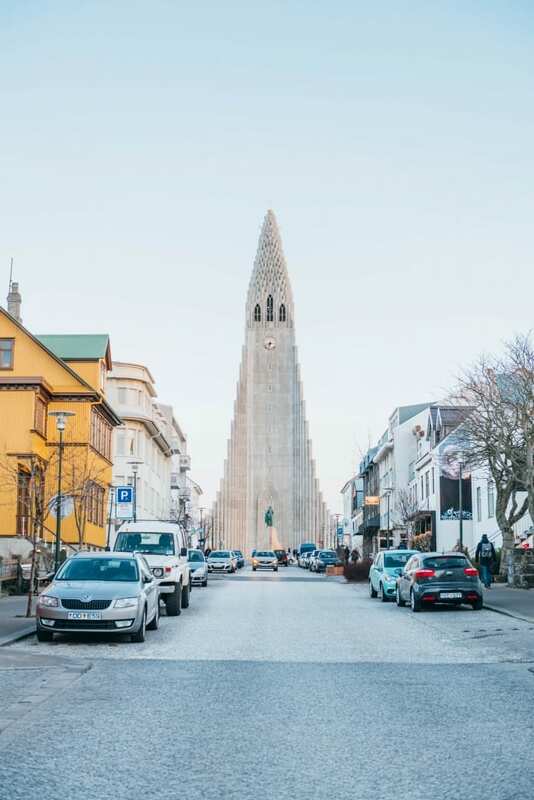 This past March, I embarked on a 7-day Iceland Road Trip around the “Ring Road” with Sebrin from The Clumsy Traveler and Carly from Light Travels. 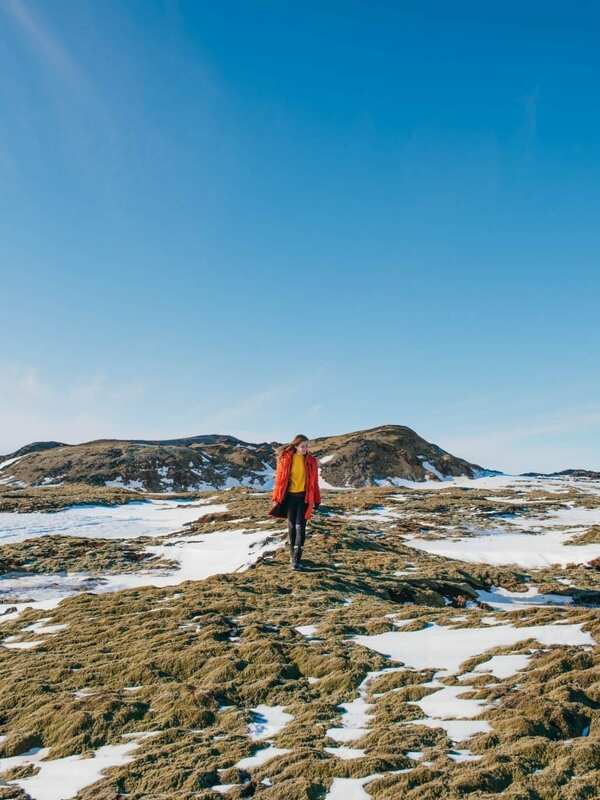 Circling the entire island in seven days can be difficult, especially in March when there may be snow and ice, but with proper planning, it is entirely possible. 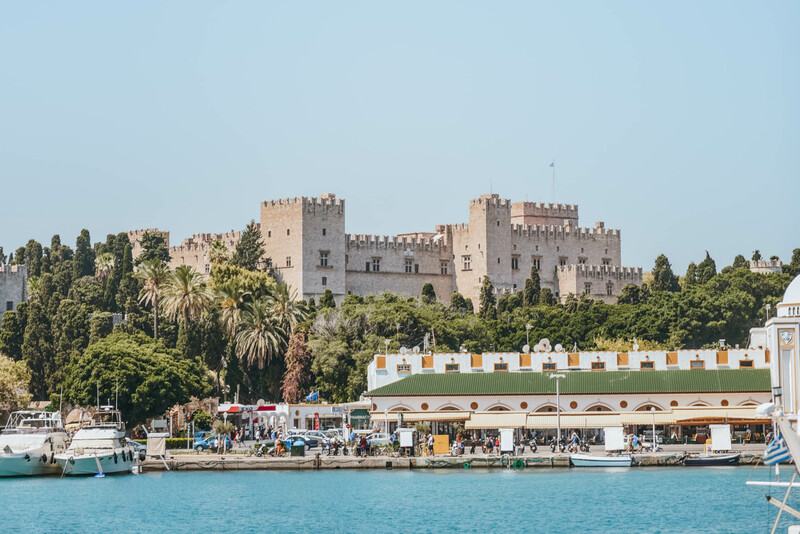 For a detailed itinerary and some tips to help make your journey a little bit easier, keep reading! My first tip if you are driving in Iceland – go the speed limit. There are a lot of police in Reykjavik and many speed cameras along the Ring Road so unless you want to come home from your vacation with a $300 fine like me, stick to the speed limit. To learn more, check out my article “Everything You Need To Know About Getting A Speeding Ticket In Iceland“. The Golden Circle is a popular tourist route in Southern Iceland. This 300 kilometer (190 mi) loop starts in Reykjavík and offers unique landscapes that are easily accessible. Expect it to be crowded at all times. Below are the most popular sites to see as you travel along this road. 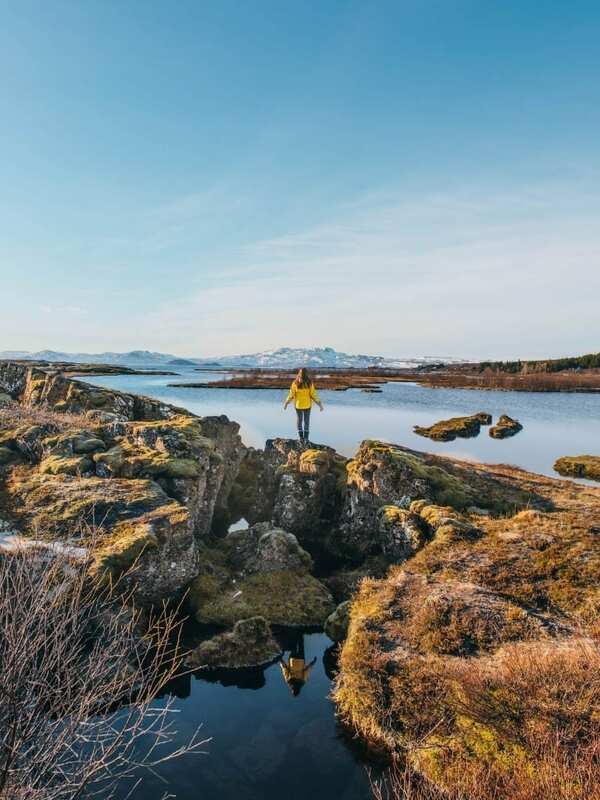 Thingvellir National Park: Only 40 km northeast of Reykjavík, this moss covered national park is impossible to miss. You actually drive through it! 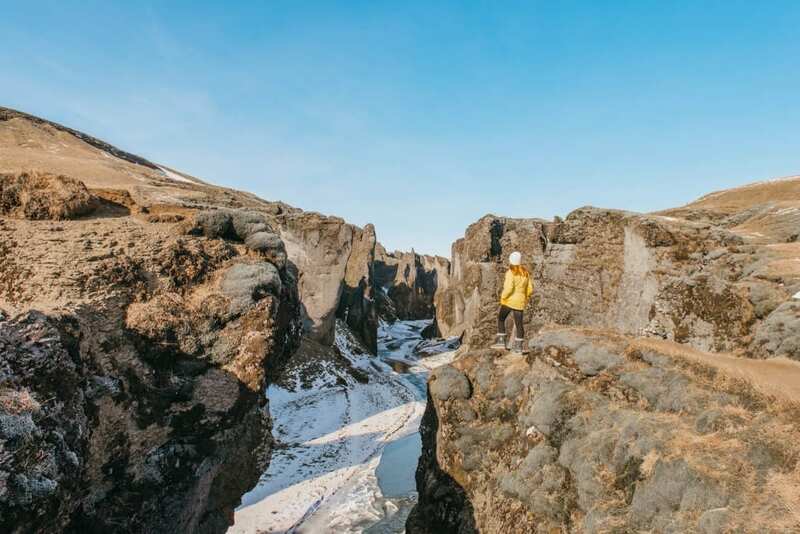 The most impressive part of this park is that it is home to the Silfa Fissure, which is a divergent tectonic boundary between the North American and the Eurasian Tectonic Plates. If you book a scuba or snorkel tour, you can swim between these two tectonic plates!!! Unfortunately, we learned about these tours too late and were unable to go, but that just gives me an excuse to come back! 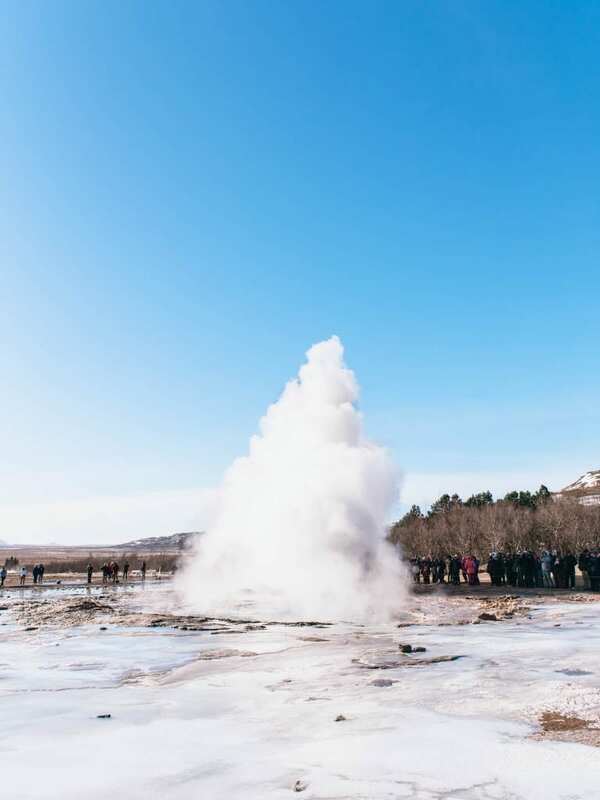 Strokkur Geysir: This famous Icelandic fountain geyser erupts every 6-10 minutes with a height typically around 15-20 meter, sometimes erupting up to 40 meters high. After waiting through 4 eruptions we finally saw one that possibly was 40m, so be prepared to wait a while to get a glimpse of the geyser in all its glory. 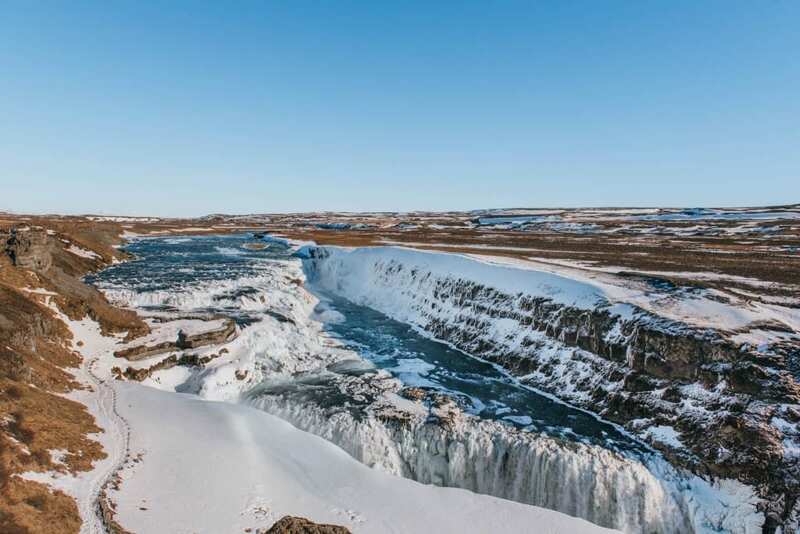 Gullfoss Falls: While not the most impressive waterfalls you’ll see, Gullfoss is still worth visiting. It is unique compared to other Icelandic waterfalls since there are different tiers of flowing water. However, in March, there is typically so much snow surrounding the falls and edges that you can’t get close, so you’ll have to admire the falls from a viewing deck. Kerid Crater Lake: In the summer, this volcanic crater lake is filled with turquoise water and surrounded by red volcanic rock and green moss. However, in the winter and spring, the lake is often frozen over and to be honest, not much to look at. 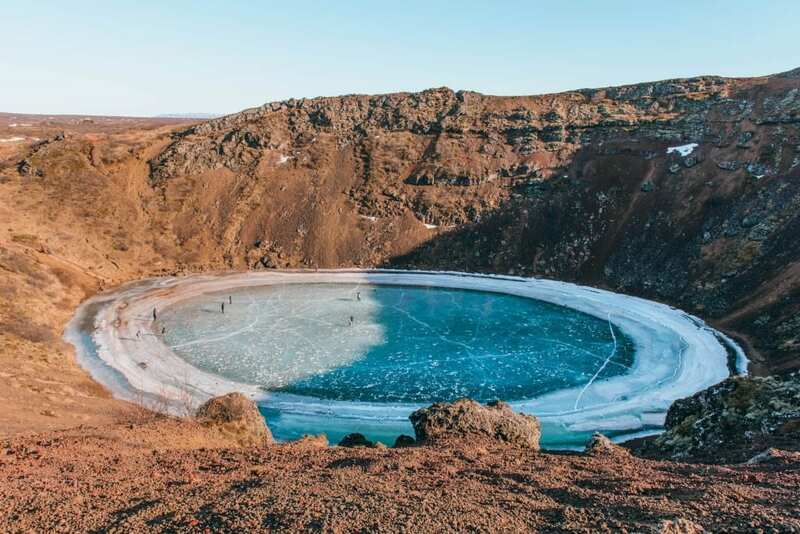 But you can go down to the crater and walk (or slide) on the frozen lake! 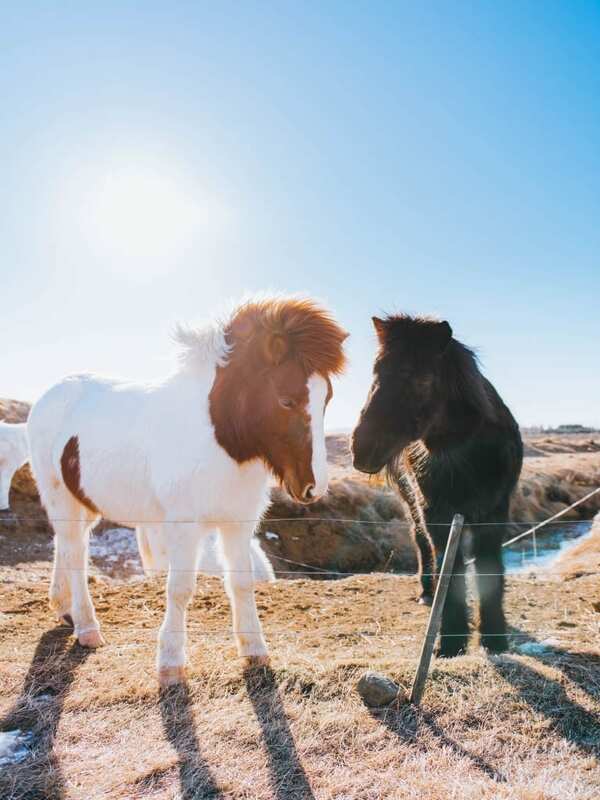 Tips: While you will see Icelandic horses all around the island, be sure to stop and say hello to the ones in the Golden Circle. The fences keeping the horses in the pastures are wire but typically they are electric, so anywhere else you will have to be careful petting the horses behind the fence. Also, while I enjoyed the Golden Circe, I don’t believe these sites are the best Iceland has to offer. 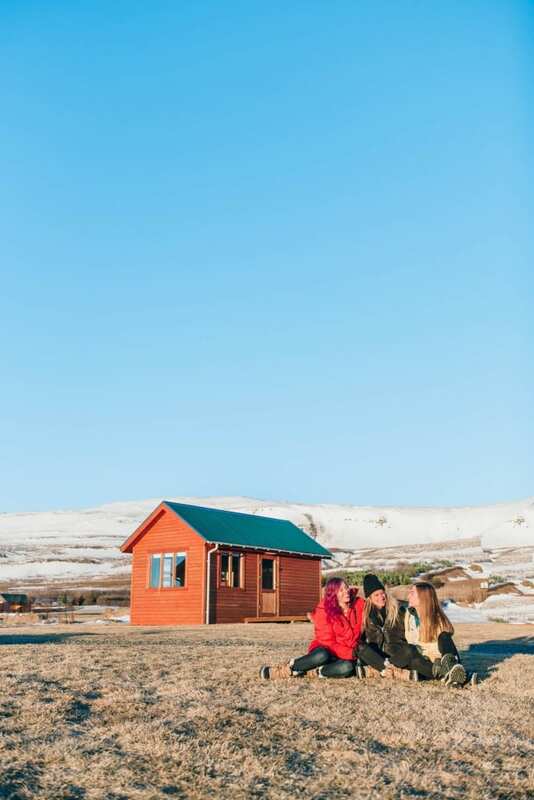 If you want to shorten your trip or want to stay in a different region of Iceland longer, I recommend skipping the Golden Circle. I promise as the days go on, you will discover more incredible places than the last. During day 2, you need to wake up as early as possible to reach your destination before the other tourists. While you are headed further away from Reykjavik, there are still many tour buses that explore Southern Iceland. 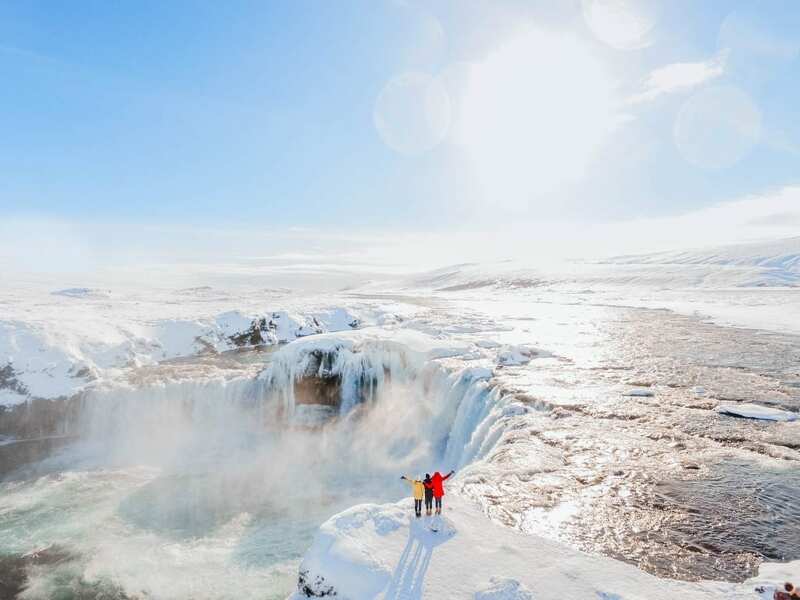 This day you will be visiting two of the most famous waterfalls in Iceland. So if you want to explore and take photos without crowds, plan to hit the road about one hour before sunrise. Seljalandsfoss Waterfall: This waterfall is 60m high, and if you go when the snow has melted, there is a cave behind the waterfall where visitors can walk into. Something you don’t see from most photos on Instagram is that there is a pathway near the waterfall that takes you to smaller waterfalls and the hidden Gljúfrabúi waterfall. 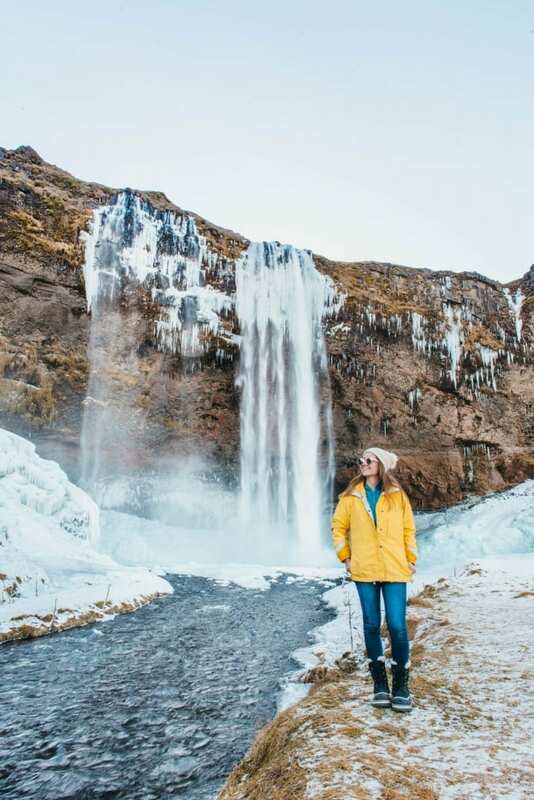 You can hike up to the Gljúfrabúi waterfall this time of year, or you can trudge through freezing water and a small crevice to the base of the falls! Either way, be prepared for an adventure! Skógafoss Waterfall: This was my absolute favorite waterfall of all the ones we saw in Iceland; mostly because we were lucky enough to visit on a sunny day and see a rainbow in front of the falls. Apparently, sunshine is sporadic this time of year, so we were in for a real treat! 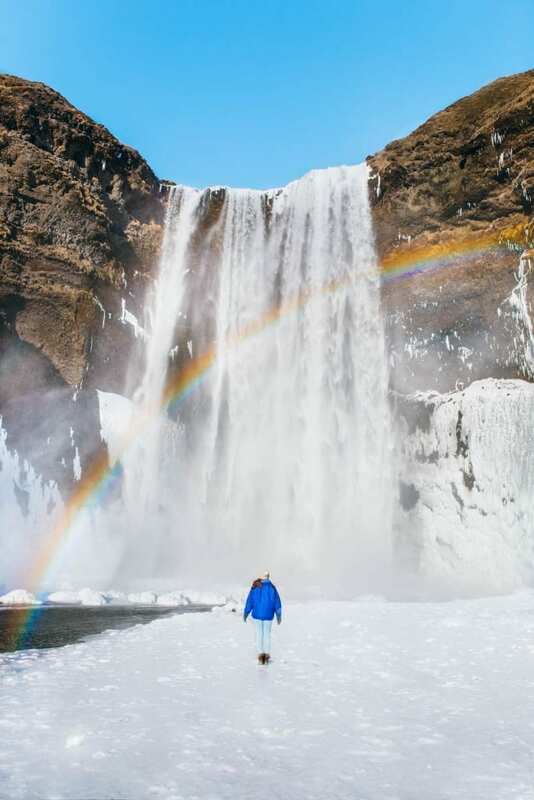 If it’s sunny the day you’re in this region, try to see the falls later in the day when you’ll have the chance of standing underneath a rainbow. 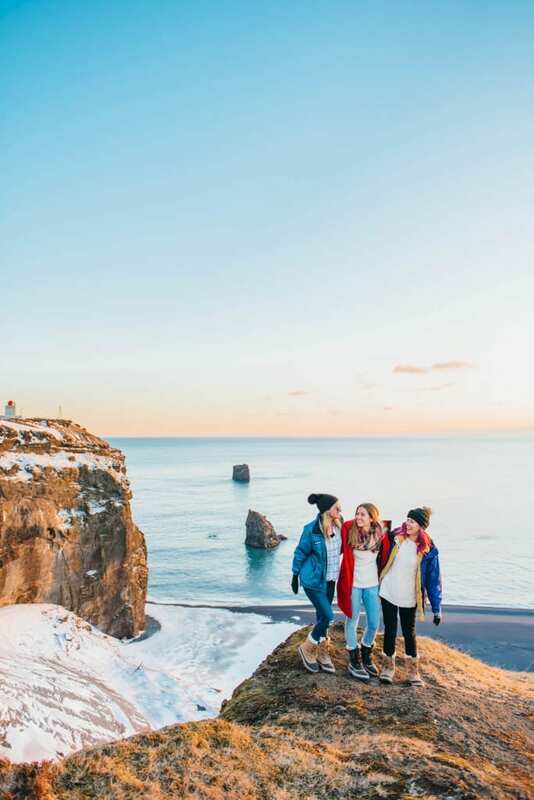 Dyrhólaey: This must-see lookout offers some of the most spectacular views in all of Iceland! 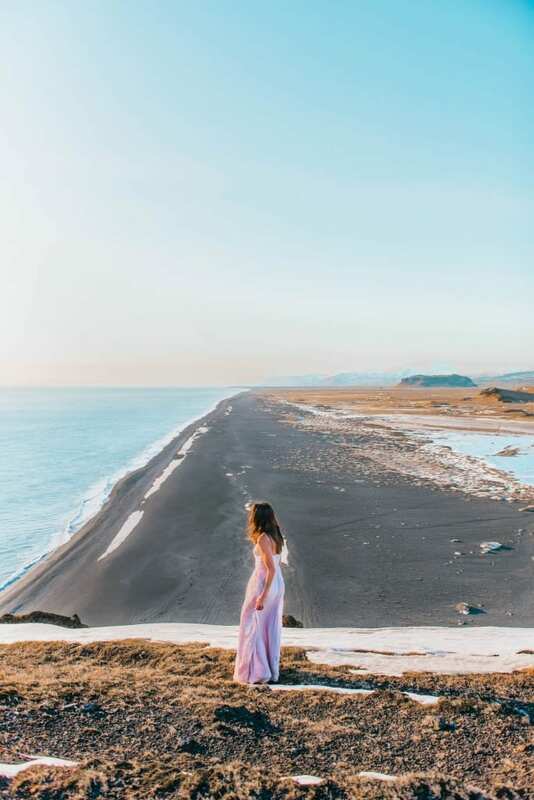 From the unending black sand beach to the vast ice-capped mountain range, this location proved to be a photographer’s dream. Us girls planned to check out this spot for about 20 minutes but ended up staying for 2 hours until sunset! Another bonus was that Dyrhólaey is a less known tourist spot, so you are able to enjoy the experience. Tip: At the end of the day we backtracked a little and stayed in Varmahlíð at The Garage. However, I would recommend staying closer to Vík or in Vík. Day 3 has, by far, the most sites to see and a long drive, so be sure to wake up at the crack of dawn and be prepared just to go go go. You won’t want to miss anything! 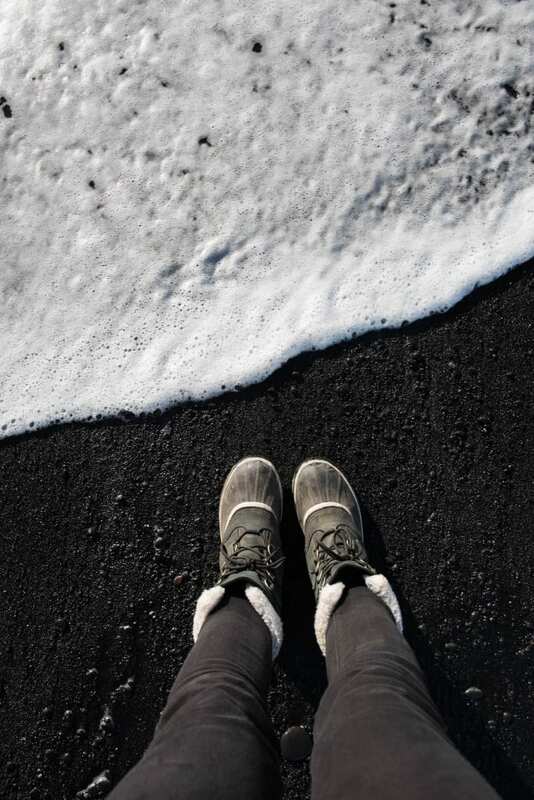 Reynisfjara Black Sand Beach: This is the most famous black sand beach in Iceland and is one of the ten most beautiful non-tropical beaches in the world. 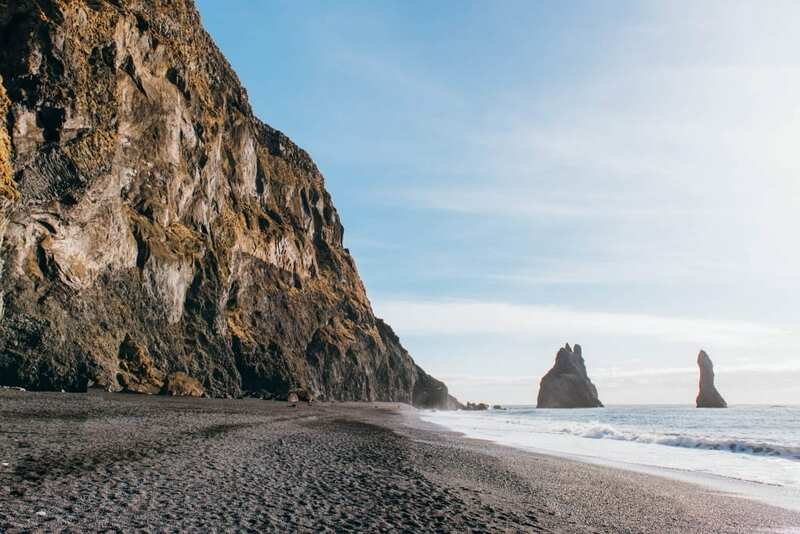 Discover symmetrical hexagon columns lining the beach, formed by lava as if cooled and contracted on the shore, and admire the basalt sea stacks that appear to float off the coast. You’ll need an hour or so just to take in all the beauty and snap hundreds of pictures. 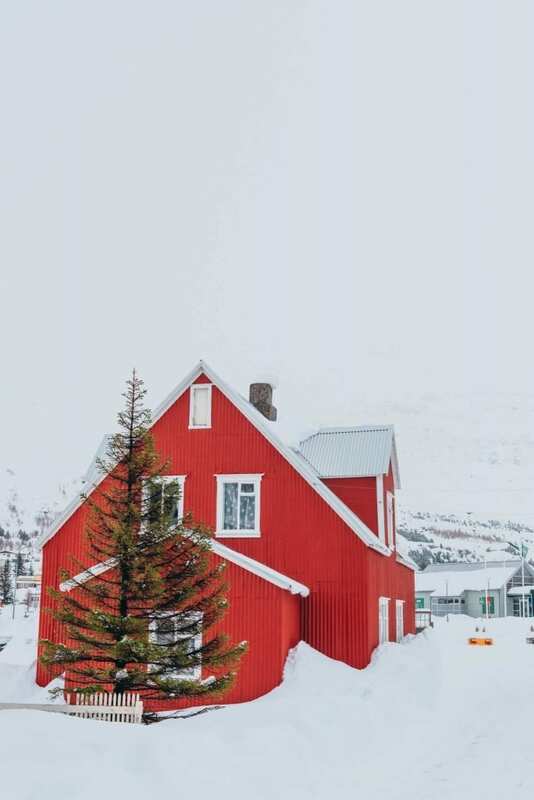 Vík: With a church and houses situated on a hillside, Vík is easily one of the most idyllic little towns in Iceland. It may shock you to learn that despite its small size (291 inhabitants), it is the largest settlement for 70km or 43mi. That being said, be sure to stock up on food and gas before heading to your next destination. Tip: Make sure to try the hot dogs at any of the local gas stations! This might seem like a bizarre tip but trust me, they’re life-changing. Fjaðrárgljúfur Canyon: Dating back to the cold periods of the Ice Age some two million years ago, this moss-covered canyon is a must see. If you’re brave enough to walk close to the edge, you’ll find yourself looking down at 100m drop and a small winding river. Be sure to watch your step and keep your balance against the wind! Svinafellsjokulsvegur Glacier: Visiting this glacier was an unexpected stop for us, but 100% worth it! Right before we left for Iceland, I learned we could do a glacier trekking or glacier ice cave tour. However, they can be pretty expensive, and we didn’t have time in our schedule. Consequently, as we were driving down the road, we saw this glacier in the distance and found a dirt road that led us directly to the base of it! While it would have been possible for us to walk on the glacier, it’s never safe to do this without a guide. Instead, we followed the trail along the mountainside directly above the glacier for one hell of a view! Jökulsárlón Glacier Lagoon: This large glacier lake is on the edge of Vatnajökull National Park. It is a well-known spot for viewing floating pieces of glaciers that break off over time. It is gorgeous at sunset when an orange glow kisses the top of the surrounding snowy mountains and the lagoon reflects a deep turquoise blue. No wonder it’s been featured in multiple Hollywood movies like Batman Begins, Lara Croft: Tomb Raider, A View To Kill, and Die Another Day. Diamond Beach: Right across from Jökulsárlón Glacier Lagoon is another famous black sand beach. 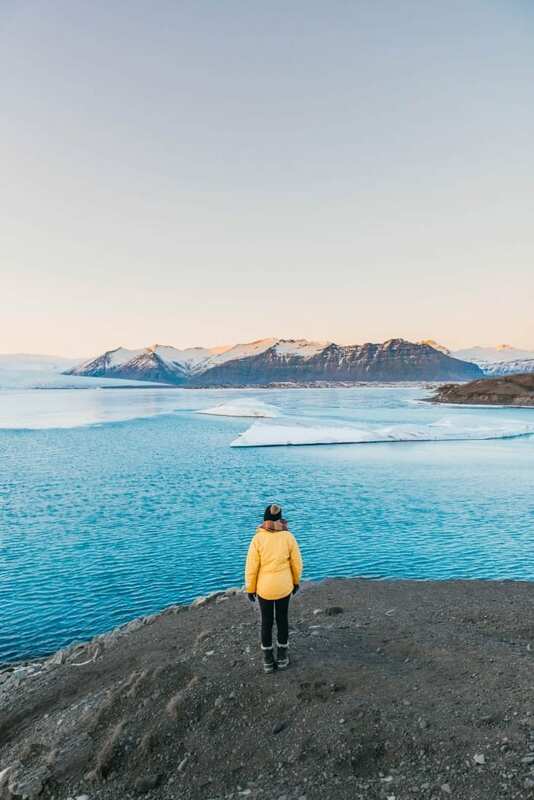 Along the shore, you will find both large and small pieces of glacier ice that have floated out of the lagoon, into the sea, and made its way to Diamond beach. Tip: Stay an extra day exploring this part of the South. There were quite a few things we missed (secret waterfalls, glacier trekking, and other black sand beaches) just because we were short on time. If you have the opportunity to stay longer, I highly recommend it. If you’re making this drive in March, prepare for snowstorms, icy roads, high winds, and a long, slow trip. Out of all the days we were in Iceland, this was the ONLY day where we experienced such harsh weather conditions. However, during this time of year, it’s not unusual. Make sure you check road conditions regularly at www.road.is and drive with caution. Because of the weather and time, we were only able to make a two of stops. In warmer months, expect to see more. 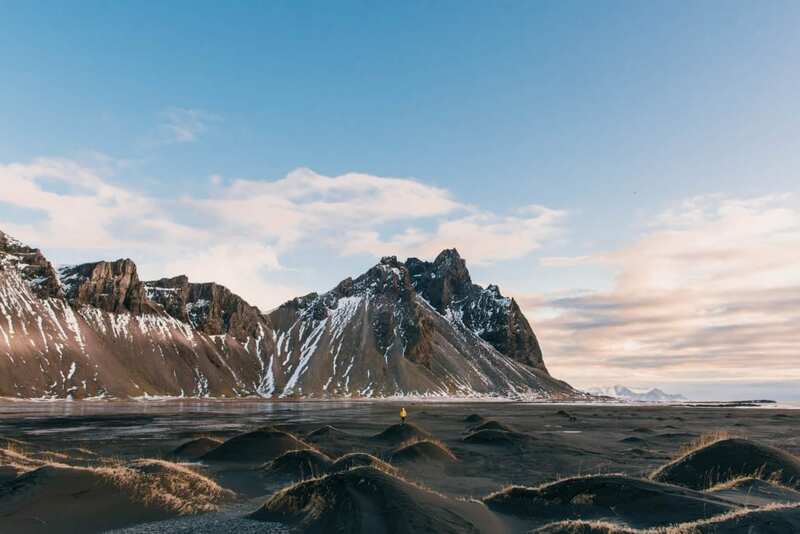 Stokknes or Vestrahorn: Where mountains meet the sea. Out of every place we visited, this was by far my favorite. 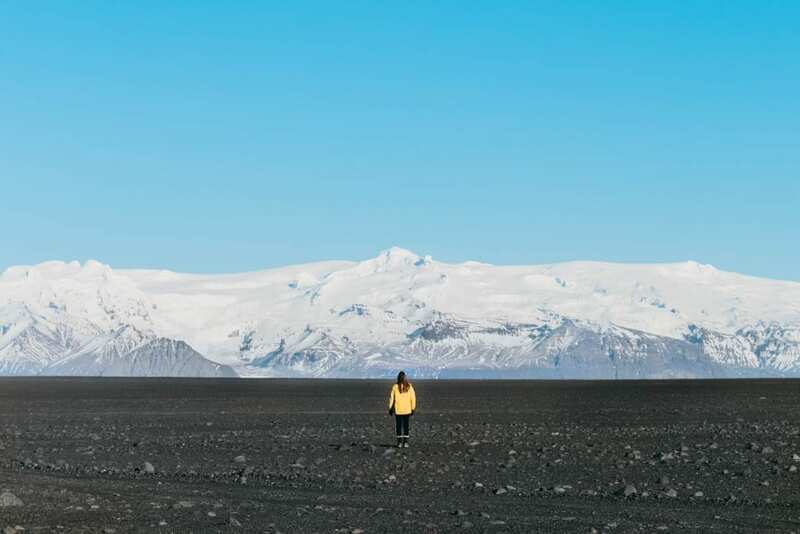 The melting snow capped the mountains, black sand mounds speckled with yellow grass decorated the foreground, and the vast black icy beach made for the perfect canvas. It is unlike anything I’ve ever seen. Amazingly, there was hardly anyone there! Just a couple of professional photographers, but no tourists. So be sure to see this gem before it becomes Insta-famous! Note: You do have to pay a small fee per car to enter this area, but if I remember correctly it’s under $10. Seyðisfjörður Village: This lakeside town is in the Eastern Region of Iceland and a 27km detour from the Ring Road. It’s famous for colorful buildings, puffin colonies, and old ruins. However, in March especially after a snowstorm, the snow covers the ruins, the puffins are not around, and the town is virtually empty with most shops and restaurants closed. Nevertheless, we had a great time wandering around this winter wonderland and chatting with some locals at the only place open: the grocery store. Note: Unfortunately for us, we made this drive during a snow storm and had trouble seeing the road. At one point, we were in a completely white out and terrified since we couldn’t even see the edges of the road, which didn’t have a railing and beyond it was the side of the mountain. It probably isn’t worth visiting this time of year if it means risking your life driving through a snowstorm, but a definite must see when the snow thaws. 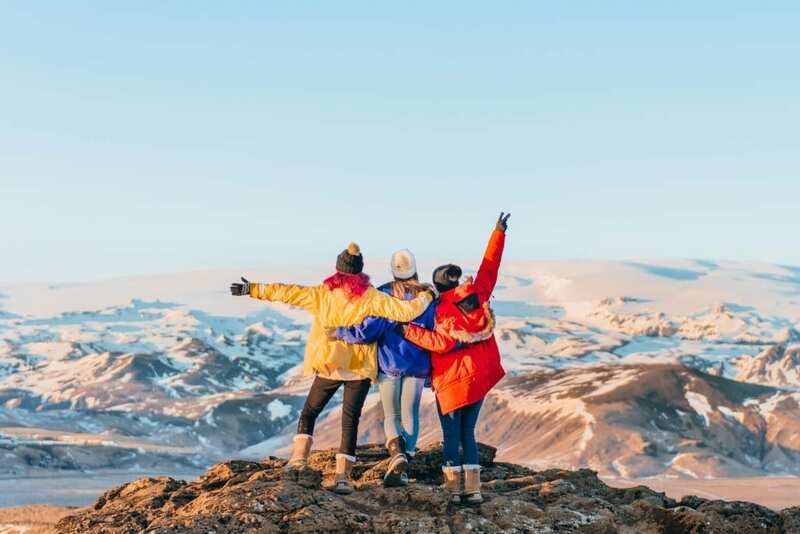 Mývatn: There are quite a few things to do in Mývatn like explore the lava fields of Dimmuborgir, climb into Hverfjall (one of the worlds largest explosion craters), relax at the Mývatn Nature Baths, or find the hidden Grjótagjá Cave made famous by Game of Thrones. Honestly, it was difficult to do much when we went because of the snow, but like I’ve said before about some other places in Iceland during March, it would be better to visit once the snow has thawed. That way you can walk around the volcanic craters or lava fields and enjoy the unique rock formations. Tip: If you have time and road condition are good, head South into the highlands and visit Aldeyjarfoss waterfall. The contrast between the black basalt columns and the white waters of the fall is supposed to be stunning. Goðafoss Waterfall: Goðafoss or “Waterfall of the Gods” is different from most of the famous waterfalls in Iceland. Instead of being tall and thin, this waterfall has a width of 30m and height of 12m. I’m not sure how much water flows from the falls daily, but it must be a lot! If you have a drone, this is the place to fly it. From way above, you’ll capture a unique and beautiful perspective. Hvammstangi: This Icelandic village in the north-west is the perfect place to end the day and catch some sleep. 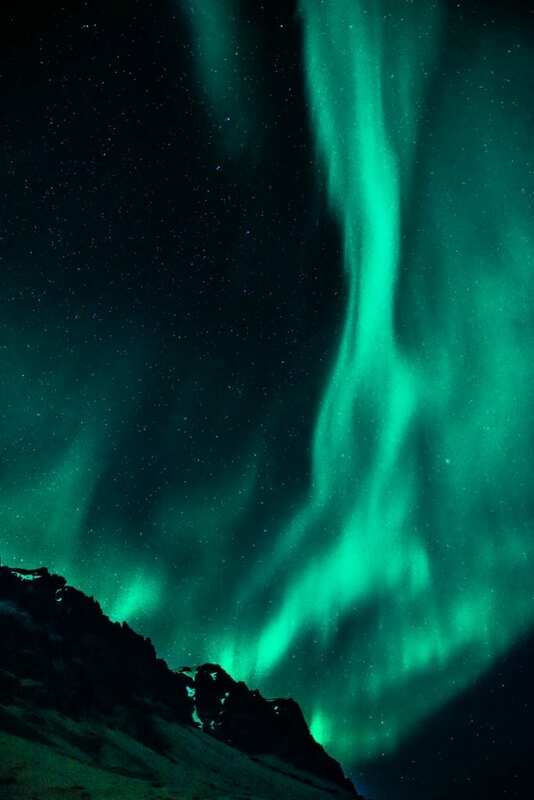 If you are dying to see the Northern Lights, this is the place to look for them. Make sure to track the Aurora Borealis forecast at en.vedur.is. Who knows, maybe you’ll get lucky like us! Tip: Similar to Day 4, if you visit this region during the winter or in March, you will find it difficult to see everything. Be sure to prioritize each location and start your day early. 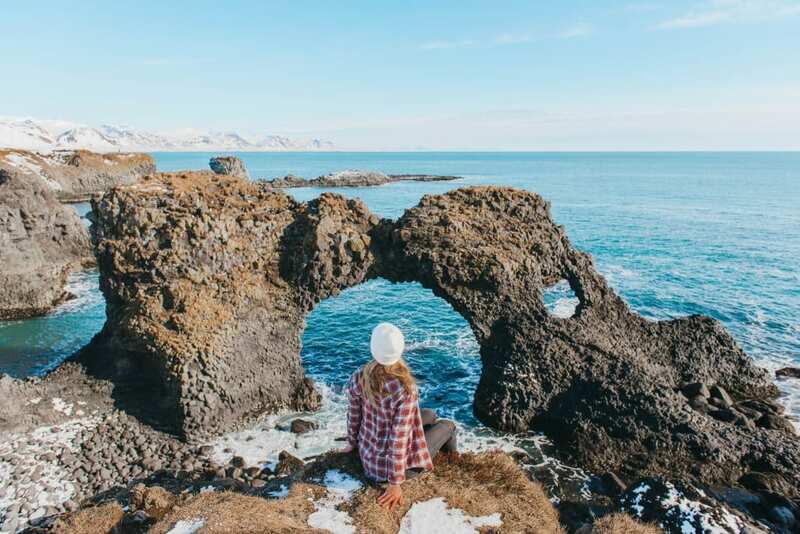 Arnarstapi Sea Arch: About a 1.5-hour drive from the Ring Road onto the Snæfellsnes peninsula, you’ll discover the famous sea arch at Arnarstapi. The sheer size of the arch is stunning. If there wasn’t snow on the cliff, I would have tried to climb down and see the arch up close. Another reason to visit this area is the unique lava formations. 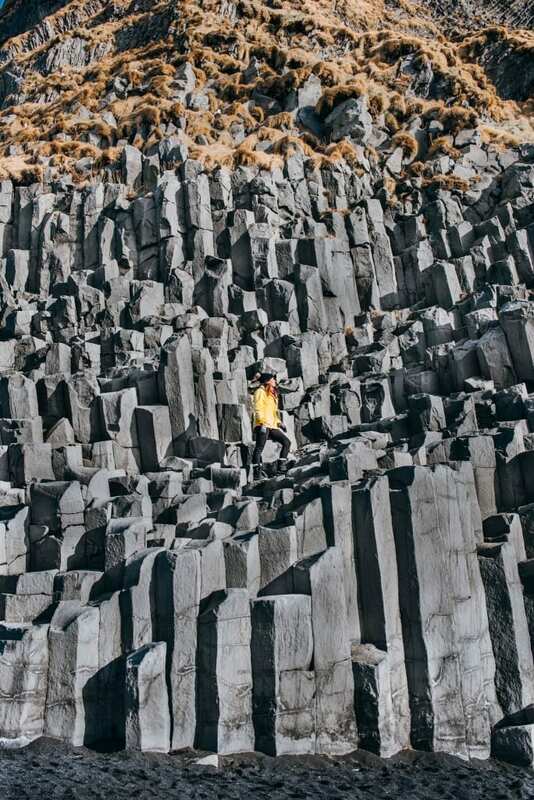 For example, if you check out the coastal cliffs, you’ll notice symmetrical hexagon columns similar to those at Reynisfjara Black Sand Beach. 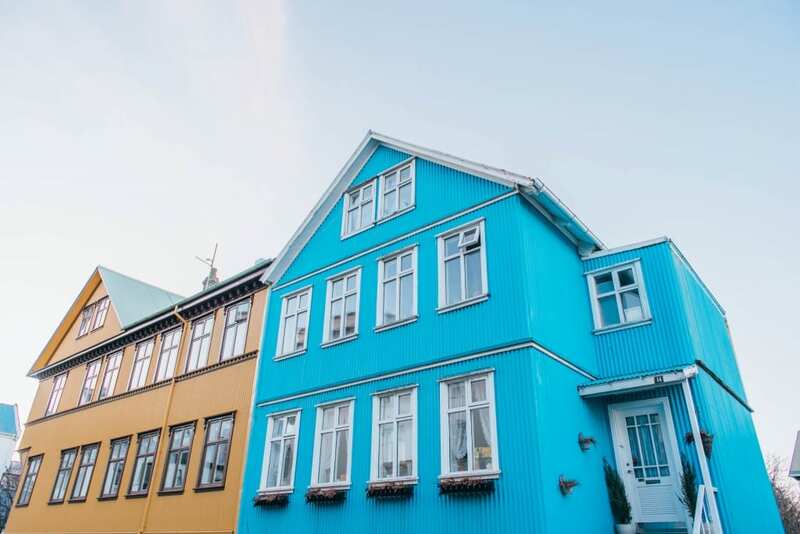 Explore Reykjavík: Now you are back in the capital and Iceland’s largest city. Woohoo! You did it! You know what that means?? Time to tour the city in search of great food and Icelandic beer! We stayed at The Loft Reykjaví, located at the end of Reykjavík’s main shopping street, Bankastræti 7, and only a 5-minute walk from Hallgrímskirkja (The City Cathedral pictured below). It was nice being so close to all the fantastic restaurants, bars, and shops. 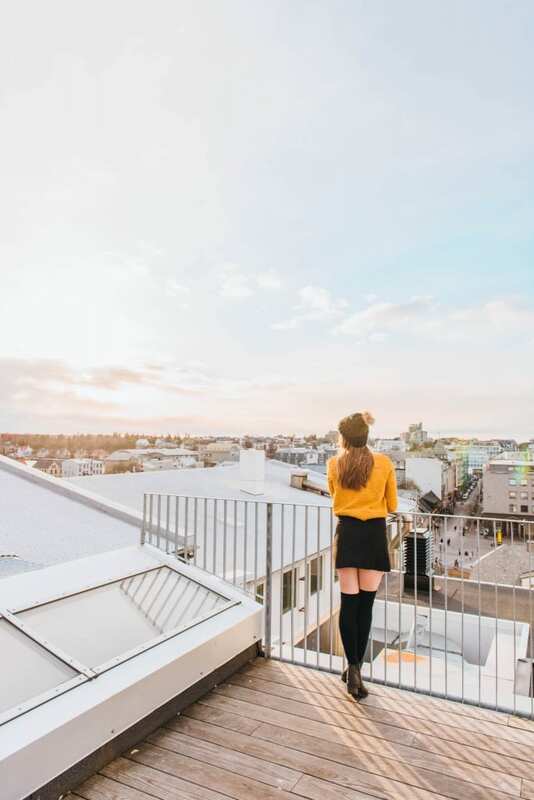 However, in Reykjavík and all of Iceland, everything is expensive so budget a lot of spending money or get your food and drinks at the local grocery store. Tip: Don’t let your road trip exhaustion keep you from exploring more places. We were tired. All we wanted was to get back to Reykjavík. Unfortunately, this meant that we missed a majority of the West which many have said is the most beautiful part of Iceland. One popular stop we missed (and I now regret) is Kirkjufell mountain. This landscape showcases a beautiful waterfall and a distinctly shaped mountain that is a landscape photographers dream. Blue Lagoon: What a perfect way to end our Iceland Road trip. Any tensions I had from driving or carrying my camera equipment melted away the minute I entered the milky blue waters of this geothermal spa! 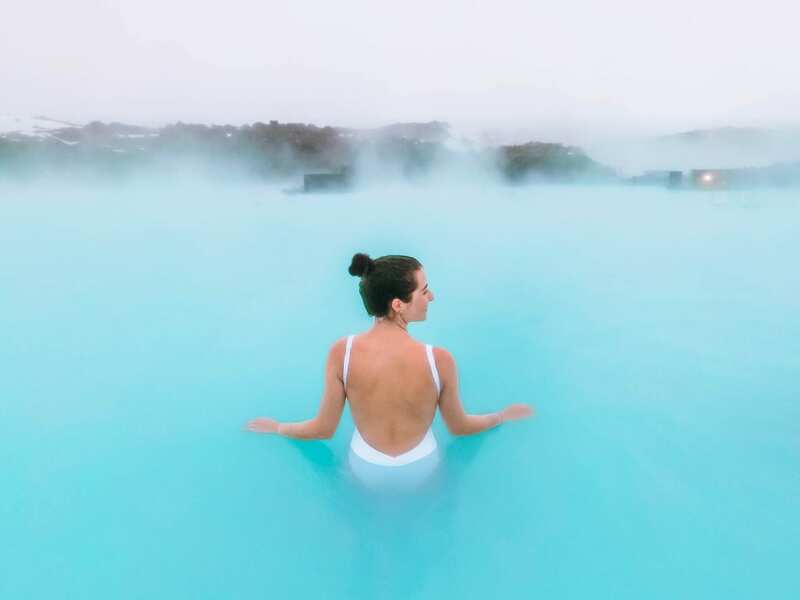 At the Blue Lagoon, you can enjoy these healing waters at temperatures of 99-102 °F, apply cleansing white silica mud masks to your face and body, and spend time in the sauna and steam baths. There are three different packages for you to choose: Basic, Premium, and Luxury. We went with Basic since it was the cheapest for 6990 ISK which is about $69 USD. Included is your entrance, a mud mask, towel, and one drink of your choice. The other two packages are a great option if you’re interested in a little more pampering. Tip: Be sure to buy your Blue Lagoon tickets before you leave for Iceland. They often sell out and you don’t want to miss this! Keflavík Airport: Time to say goodbye to Iceland. But “it’s not really goodbye after all“. Hopefully one day soon, I’ll be back to explore this magical island. 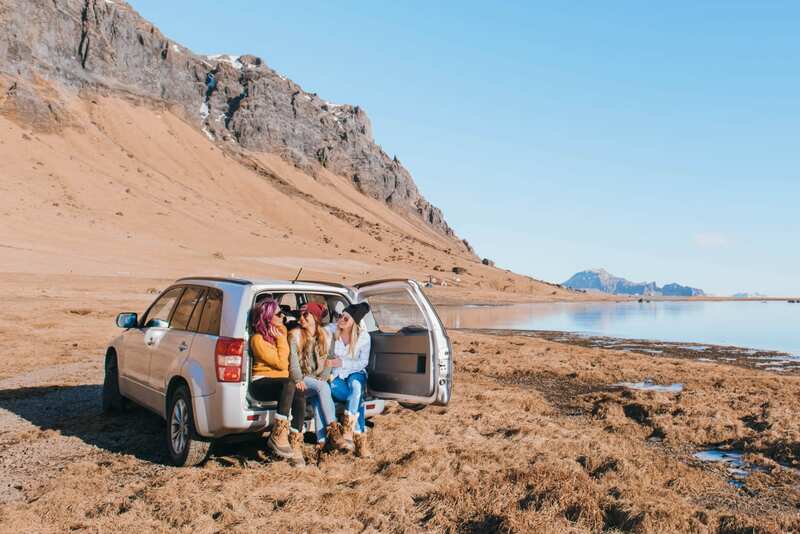 If you’re planning on going on a road trip, you’ll need a car with four-wheel drive and lots of room for luggage. While there were many different rental car companies to choose from, we decided to go with SAD Cars, and I recommend you do the same! It was easy to book online, affordable, and they are located right by the Keflavik Airport. Also, the employees were accommodating and I appreciated that they recommended getting gravel protection. At first, I thought they were trying to scare us into spending more money, but during the trip, a huge truck passed us on the highway and kicked up some gravel. Of course, it smacked right into our windshield and left a crack, but luckily we were covered. If you want to save money and have a worry free road trip, rent with SAD Cars. As you can tell, we had our fair share of bad weather during our road trip. 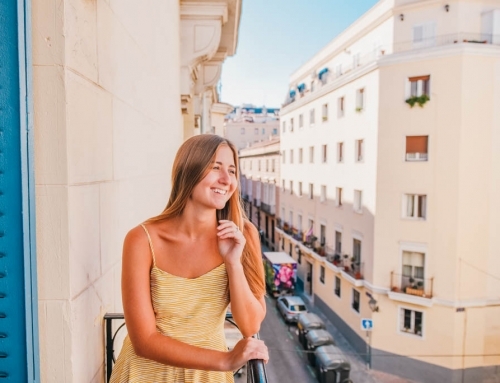 As I travel more and more, I’ve found out that it is pretty rare for your vacation to go as planned. You should always have travel insurance! We can hope and pray the worst doesn’t come to pass, but the truth is, you never really know what’s going to happen. You may lose your luggage, cancel a trip, miss a connection, or possibly need medical attention. 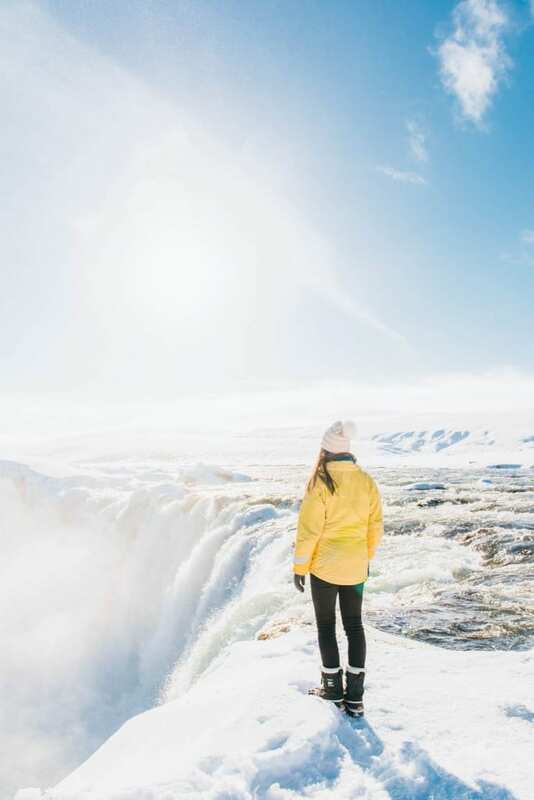 Iceland is a place of immense beauty, but it is also home to unpredictable weather and dangerous adventures, like glacier hikes and mountain climbing. The best thing you can do to prepare for any inconvenient or unfortunate event is to get travel insurance. 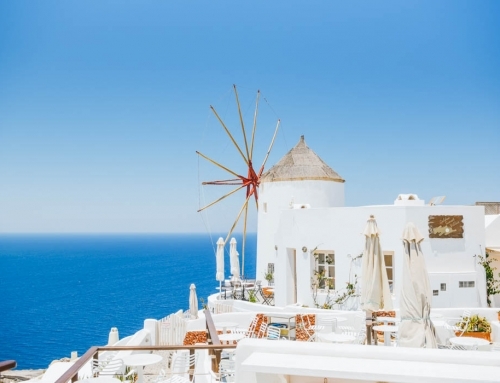 If you’re looking for a company that is affordable and informative, I recommend using Allianz Travel Insurance. With Allianz, you will find an insurance plan that’s right for you. Wonderful itinerary and photos. One of my favorite things about Iceland is you can see sooooo much in such a short time, so your 7 day itinerary is the perfect length! i am going with a friend end of march to island. can u maybe help us and send us ur maazing roadtrip map? thank u so much for ur help!!!! Love your video. Can I know which drone did you use for that video? It was a DJI Phantom 4 Drone. Amazing photos! May I know what camera are you using? Did you reserve your lodging ahead of time or just find it as you went along your itinerary? I will be there in March 2019. Really enjoying your blog and beautiful photos! I reserved ahead of time and I would highly recommend doing so as well! March is a popular time to go since it’s starting to warm up and there is still the chance of seeing the northern lights. 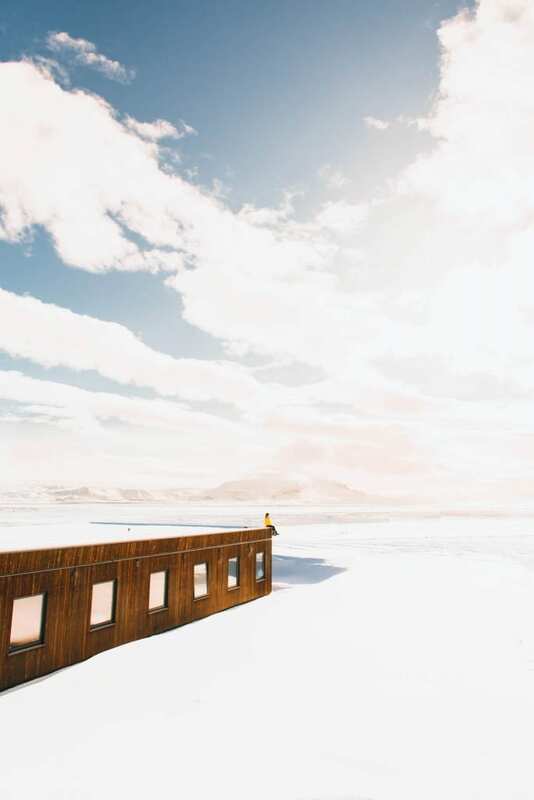 Iceland doesn’t have many a lot of hotel options outside of Reykjavik so definitely check air bnb as well for lodging. 🙂 Hope you have a wonderful time! Hi Angie! I’m planning a trip for March 2019 with my best friend. We’re going for 7 days so I’ll be sure to follow your itinerary! Do you have any suggestions as to where you stayed overnight? Did you stay in hotels or Airbnb’s? Thanks for your great blog! It’s super helpful. 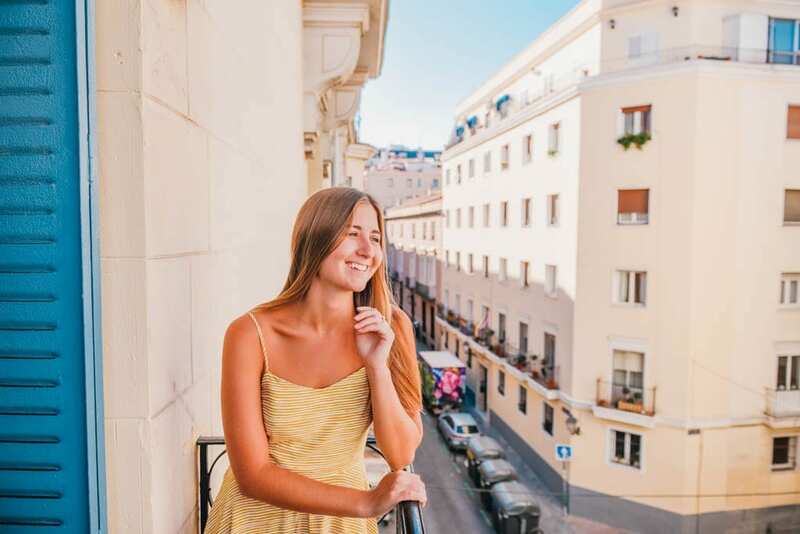 We did a few hotels, hostels, and air bnbs! In Reykjavik, we stayed at Loft Reykjavik. We stayed at The Garage in Varmahlio. In Hofn, we stayed at an Air bnb hosted by Heioveig Maren Jonsdottir. And then in Myvatn we stayed at the Hvammstangi Cottages. I just discovered your blog… LOVE it!! Do you follow Find Us Lost? You have a similar video style. This looks like a great trip. I went to Iceland in May so there was no snow… must go back! Omg your photos are magical!! I’ve been dying to visit Iceland for a few years now… Can’t wait to spend some time there and discover this wonderful country! Thank you so much Joanna! It truly is so magical. I just know if you go, you’ll have an incredible time! Hello. 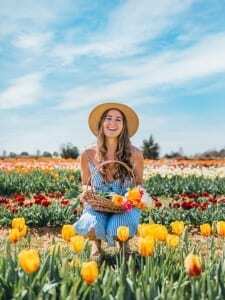 Great post, awesome tips and beautiful pictures. I am planing a trip to Iceland from March 17th-24th 2019. We will probably be a group of 5-6 adults. Do you think it would be OK for us to do a similar itinerary by ourselves when none of us have experience driving in icy roads? if yes, what would be the best type of car to rent? I`ve seen some small private tours but they are so expensive. I definitely think this itinerary would work for y’all! If us three girls could do it (without any experience driving in icy roads), so can you. 🙂 Just be sure to check road conditions every day and educate yourselves on how to drive on snowy or icy roads. The only time we drove on icy or snow-covered roads was days 4 and 5, but that’s to be expected because we were going to the East and Northern Parts of Iceland. We rented through SAD cars: https://sadcars.com. 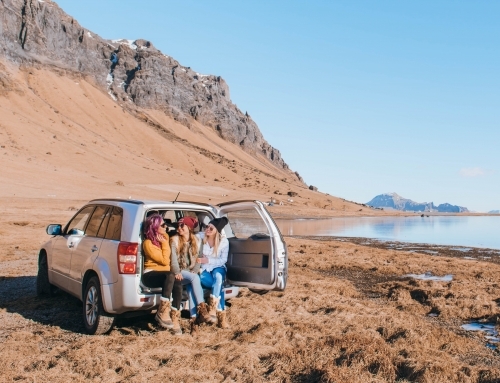 I’m not 100% sure what car you should rent for 5-6 people but definitely make sure it’s a 4-wheel drive and big enough for everyone and their luggage as well. I just checked their site and they have a Toyota LandCruiser 150 4×4 that seats 7 so that might be good to check out! Did you travel in early March or late March? Planning my first trip to Iceland next year for my honeymoon! 🙂 Your tips were so helpful!! Hi Emily! First off, congratulations! 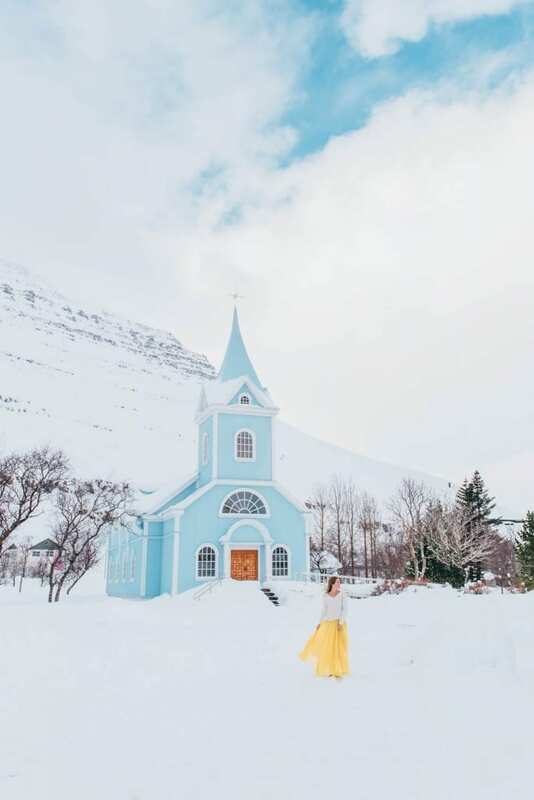 Iceland is such a beautiful place – perfect for a honeymoon! We went to Iceland from March 8 – March 14. I heard the weather can be hit or miss this time of year, but luckily for us, we had clear skies every day but one. If you have any questions at all, please don’t hesitate to ask. ? What an informative and attractive post, your pictures are great I will be saving this for when I head to Iceland one day ??. It’s super high on my list! Thanks for posting. This is so perfect, thank you!! Iceland has been on my list for such a long time ?? I hope you can go soon. Iceland is such a dreamland! Thank you for reminding me this beautiful country! I’ve been there last summer and it was one of my best trips! But now I see that there is still lot off other things to explore and definitely I need to come back and explore in winter time ? It really was so stunning in March but I think seeing Iceland during both summer and winter is a must! The landscapes are so different yet beautiful! Awesome itinerary! There are still a few things left I must go see thanks for sharing! I love that everytime I go back there’s always something new for me to explore. My boyfriend’s never been so it might be time for round 5 ? PS I love your outfits!! That’s so amazing you’ve gone 4 times!!! I definitely know why though! ? Love this! I am heading back to Iceland for new year, so will be sure to check out some of these great tips. The ones that are accessible in December that is! Sounds amazing!! Iceland is the only cold destination I really want to visit ? will definitely follow your itinerary then! I felt the same way! But I guarantee once you go, you’ll want to check out some more destinations haha I’m thinking Antarctica next??? ? ? I’ve been thinking about a visit to Iceland for a while now but this has finally tipped me over the edge to book it. I doubt we will be able to go for as long you did so thank you for the suggestions of what to miss if you have a shorter stay. I’m so glad to hear that Kait!!! I just know you are going to love it! If you go for a shorter time, definitely travel as far as Höfn and see Vestrahorn! It really is so worth it. I went Iceland but only for 3 nights in February a few years ago. I wish I did have longer because your trip sounds amazing. Are you able to see any northern lights in March? I want to go back in the summer because it’s a total contrast. That’s actually supposed to be the last month they are active and luckily I did on Day 5 (check again and you’ll see the photo). In person, they looked like dimly lit greyish green clouds so I did enhance the photo to really see them. But I know some people have witnessed bright and colorful Northern Lights in Iceland. So excited for you to go! Be sure to bundle up because it is definitely going to be freezing! ? Ahh so nice that you spent 7 days there!! We were there for 4 but definitely want to come back to do the entire ring road. Iceland is just so beautiful! I would definitely recommend doing the whole ring road in summer then when road conditions would be better and you could actually see more of East and North landscape. Oh yes! You definitely have to go back ? I want to go back sometime in summer to see what Iceland looks like covered in green moss and without any snow. First of all, where do you find those super cute jackets???? 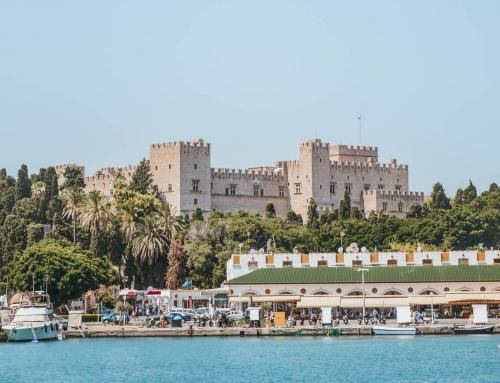 This was a really great post and itinerary! I was def looking for some glaciers! What did you think about the food? I actually got the blue and turquoise one at a consignment store and yellow one on eBay! I love thrifting! Hmmmm….as for the food, I really loved their Fish and Chips! Like they were the best I’ve ever had. But other than that, I didn’t really get to try much authentic Icelandic food because I didn’t have enough money haha So I tried to eat the cheapest things from gas stations or the grocery store. Omg Iceland must be a nice destination to try! I have always wanted to have a bath in warm water with the snow outside! 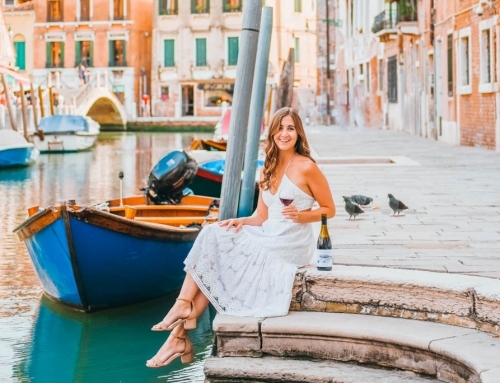 Angie what an incredible week and it has me dreaming from my island of booking a ticket and just going … your guide is incredible and you have certainly taken your travel blog to the next level with both content and stunning photography, congratulations!! I just know you would love Iceland. It’s such a unique place. And thank you so much Kelly for being such a big supporter of my travels!